Blossom & Bill limited edition print! Blossom & Bill are finally here! Welcome back! 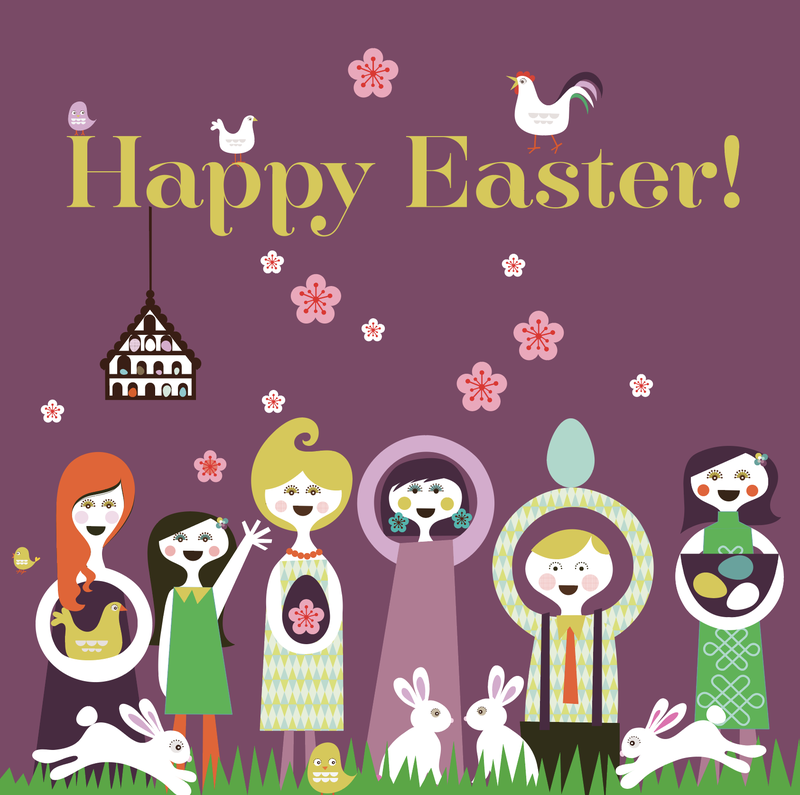 We are so delighted to see you! This summer will be spend outdoors drinking tea and coffee, hot chocolate and wine in these hand crafted top quality enamel mugs! Made in a family run Polish factory, they come packaged in 2’s. Aaah, that wonderful time of year again! Midsummer! In just a few weeks it’s the summer solstice and this is always a big deal for us Swedes. 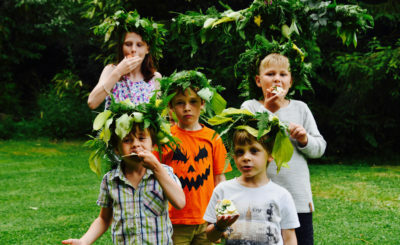 Celebrating Midsommar is an old pagan tradition that we relish. The lovely Laura and her family are the winner of our portrait competition! The portrait is currently being printed but we can’t resist posting a pic of the illustration here. Our Grinder has won an award! We can’t express how happy we are to receive the prestigious European Products Design award! I had already met my prince, 17 years or so ago – but not too long ago I got to meet another kind of prince. The Swedish Prince, Prince Carl Philip! These babies are coming soon! Blossom & Bill are back! 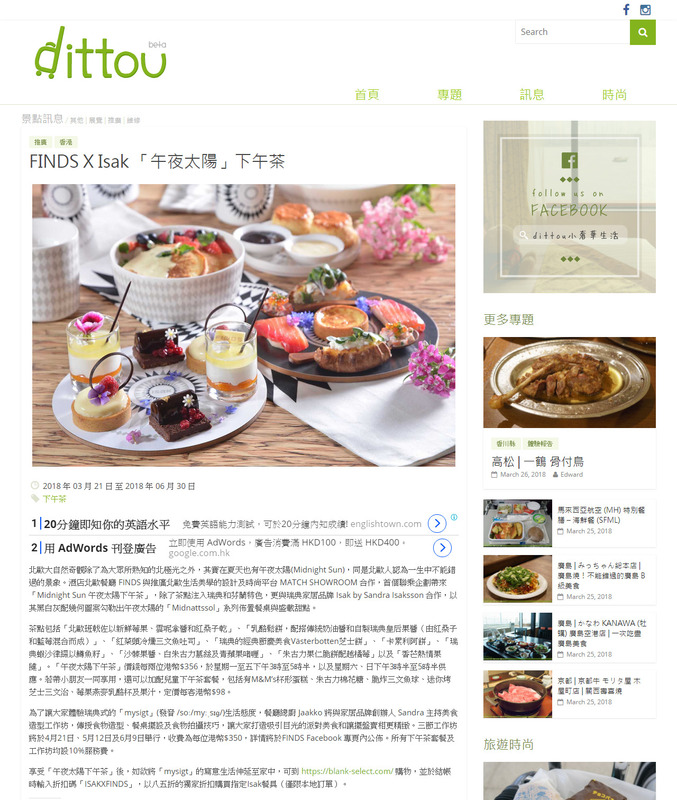 Midnattssol @ Finds restaurant Hong Kong! We have made some great new friends here in Hong Kong! 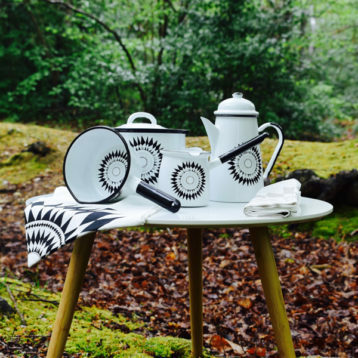 For the next threee months Finds will serve a delicious Scandinavian inspired afternoon tea on our Isak products. 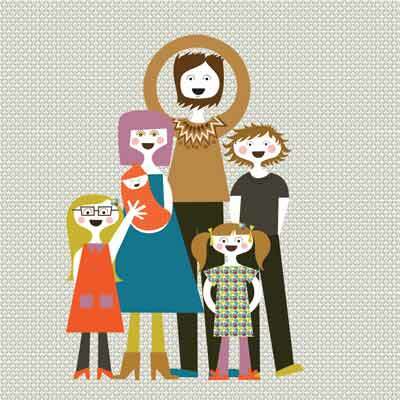 Win a one off giclée art print of your family! Sandra will design a unique family portrait of you and your family, in the same style as above. 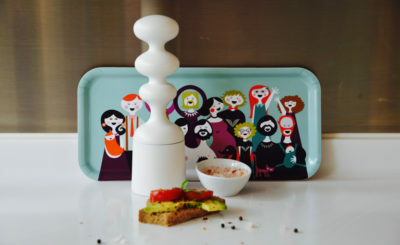 This week we really want to highlight our trays and trivets. They are manufactured in Sweden! Swedes are notorious for using trays, that’s just what we do. We have the best tray and wood manufacturing in the world – yes, that’s true! Don’t miss Isak at the Stockholm Food and Wine exhibition at Stockholmsmässan in Älvsjö! 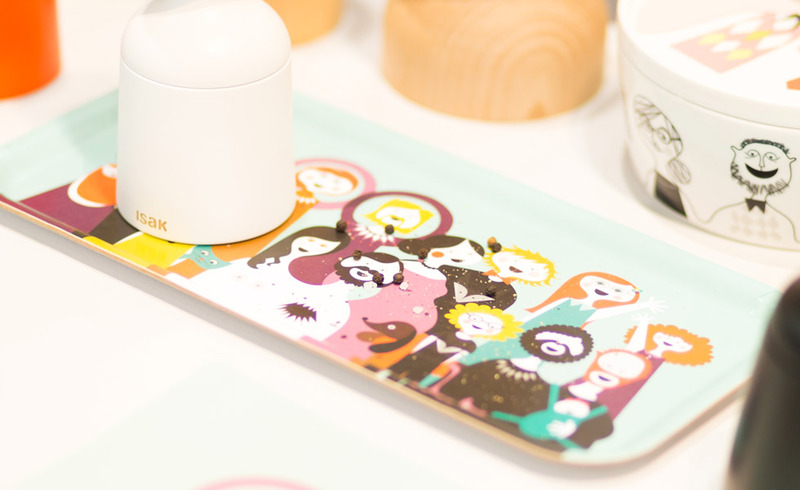 November 9-12, stand C17:51 Pop by and say hello to the lovely Marie from O Agentur who will be selling our beautiful happy things! Pick up some Christmas gifts for yourself, friends and family! We use the enamel in many different ways. We cook in it both outdoors and indoors. Sometimes over open fire or on the bbq.